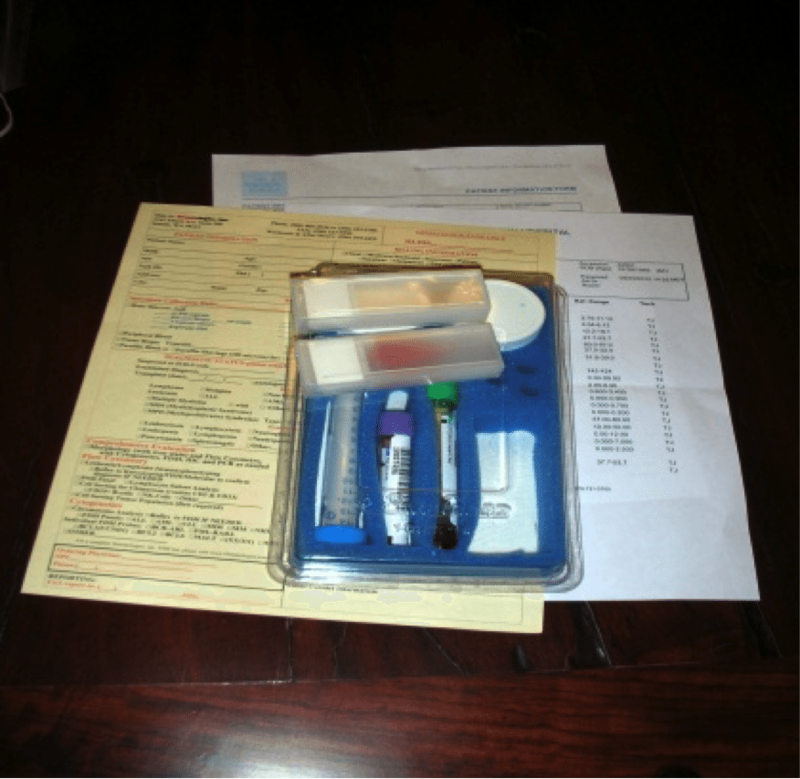 Physician Office Shipping | Hematologics, Inc. 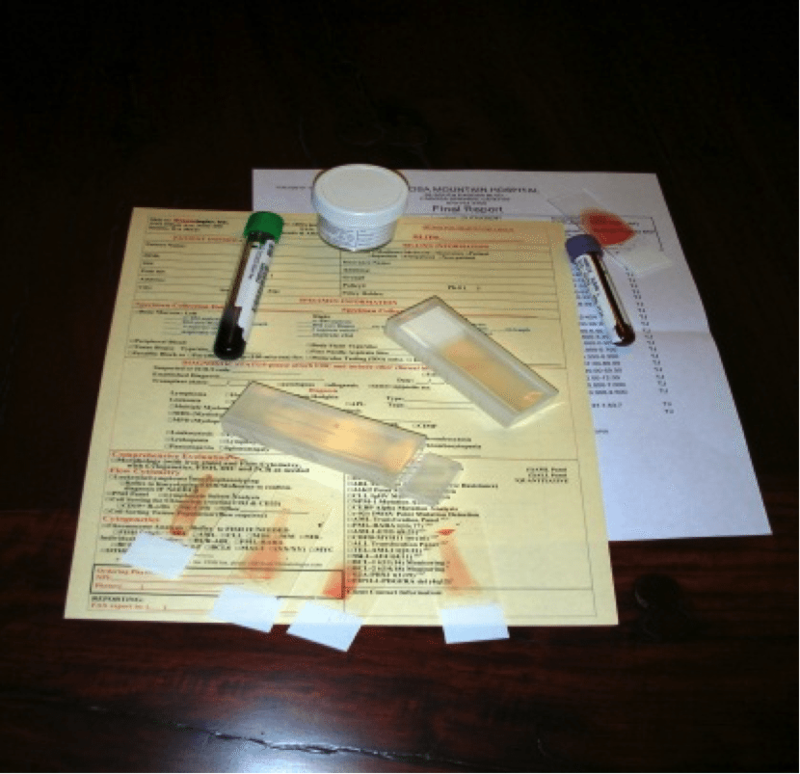 Within a 60 mile radius of Seattle, WA using couriers contracted with HematoLogics, Inc. Anywhere in the US via FedEx. Please call 1-800-860-0934 (1-206-264-4459 after hours) to arrange a local pick-up via FedEx SameDay City, or to order (free of charge) shipping materials, requisition forms and pre-printed shipping labels. The lab is staffed 6 days a week. If shipping via FedEx for Saturday delivery, please use a Saturday deliverysticker (which we will provide) and check the Saturday delivery box on the address label. Both sticker and checked box are necessary to insure proper handling. We are not routinely open on Sundays but will run stat specimens as needed. Please call 1-800-860-0934 (1-206-264-4459 after hours) to inform our staff of a stat specimen. 2) Place Specimens in Shipping Container – Keeping Slide Containers Separate. 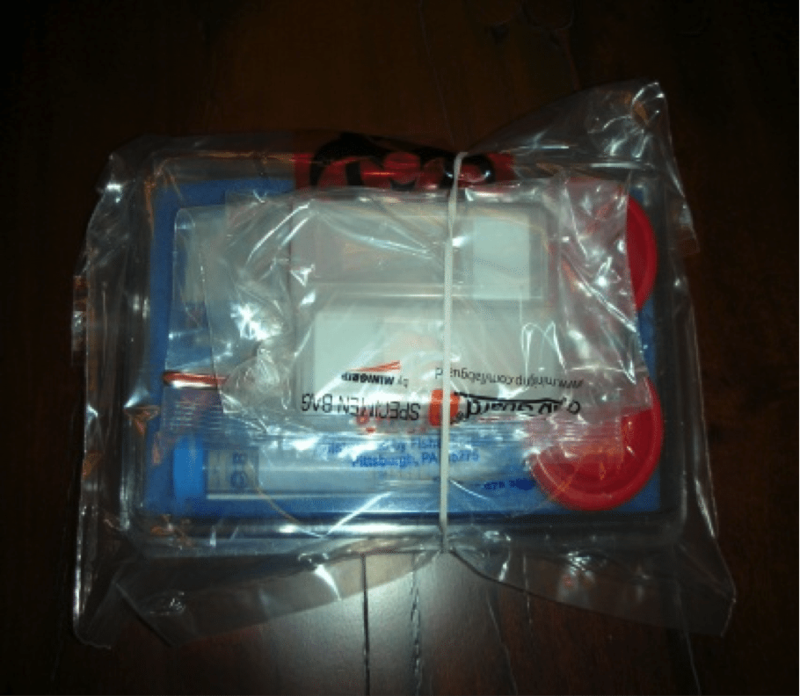 3) Place Specimens’ in shipping container, close and place in large Biohazard Bag. 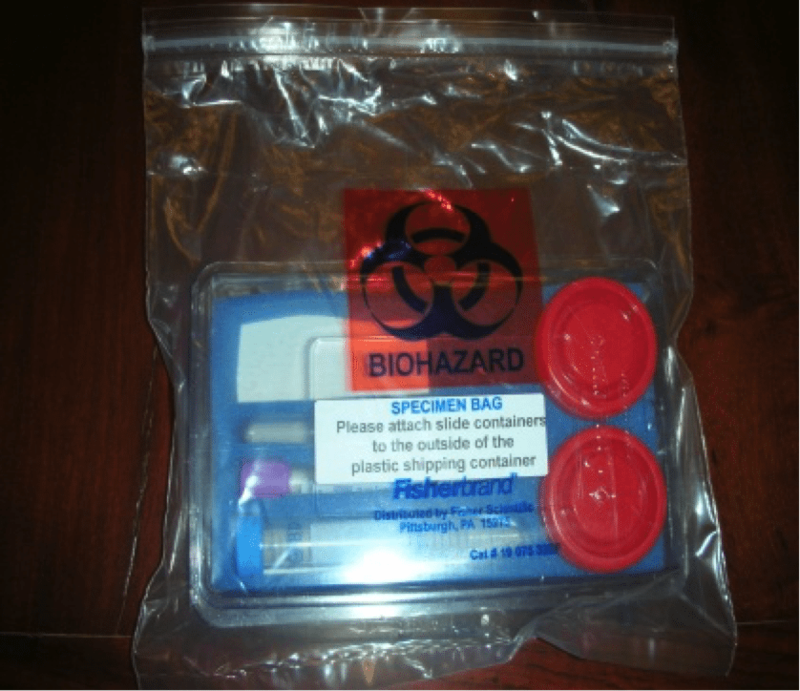 4) Place Slide Holders in Small Biohazard bag and attach to shipping container with rubber band Shipping Container. 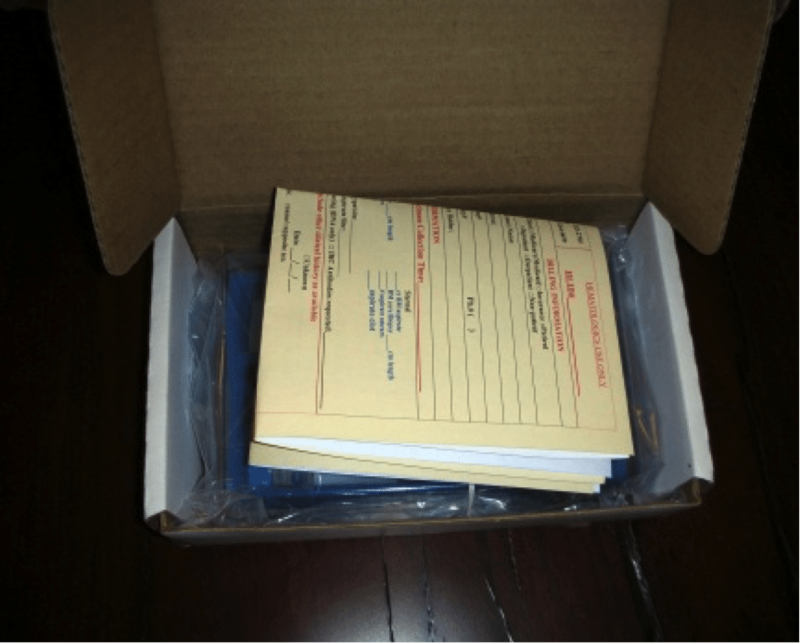 5) Fold and place completed Requisition, Diagnostic Report and Billing information in box on top and close. 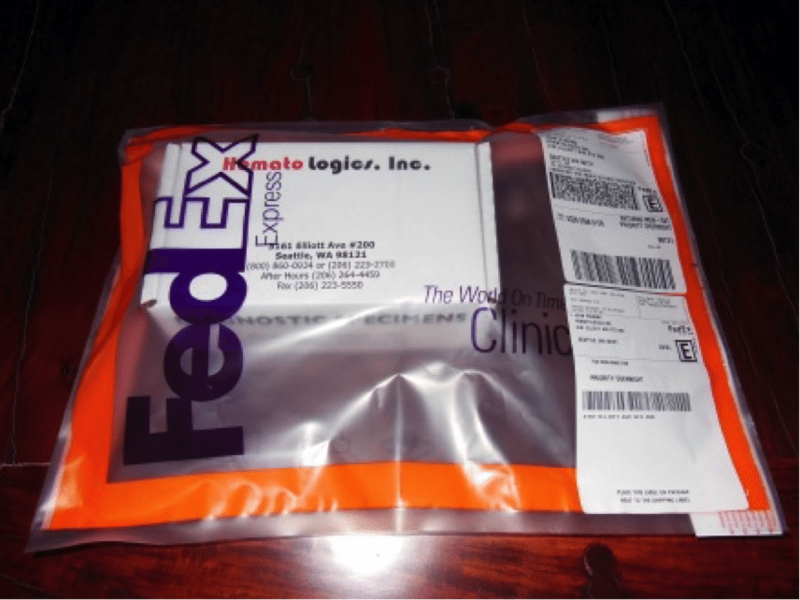 6) Place Shipping Container in FedEx Diagnostic Pack & Seal.